"Principle photography was completed on this film a little over a year ago and the first test audience screenings began in June, so we’ve been waiting quite a while for this release date to be announced. This film will open on May 10, 2019 in a limited release, as is usual for indie films. This is good news if you live in big cities that typically get art films, but others may have to make a little more effort to get out and see it. Once we get word on just how many theaters it will open in and whether it will go into a wider release, we will share that news here. Also, there are those among us who have seen the film, and once permission has been given you can expect a review or two. But first, just what is this film about and when is it set? Tolkien, as Directed by Dome Karukoski and written by David Gleeson and Stephen Beresford, tracks the early life of the title character from his formative years at school, the friendships he makes and his experiences in World War I and the aftermath. Nicholas Hoult portrays J.R.R. Tolkien and Lily Collins portrays Edith Bratt, who would become his wife and lifelong muse. 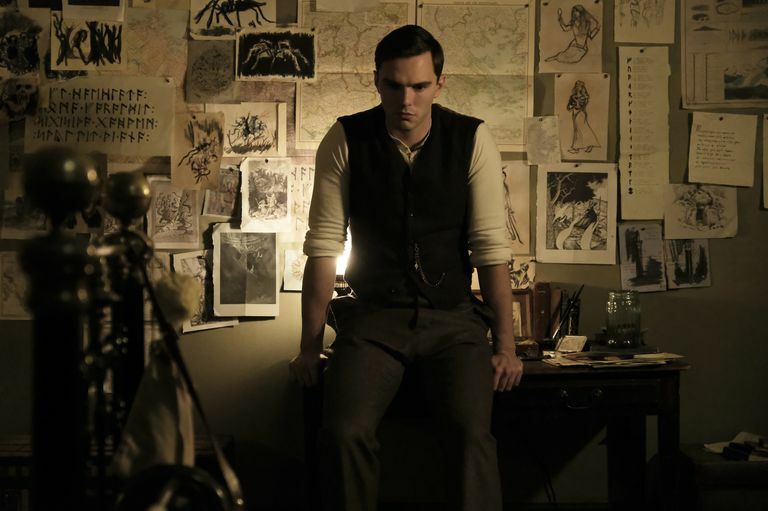 This film is not about Tolkien writing The Hobbit, Lord of the Rings or later stories, but more a portrayal of a real person experiencing all the things that would later lead to his writing those and his other great works." Mich würde es freuen, wenn solche News auch mal wieder auf der Titelseite hier auftauchen würden. Mir geht die Verschiebung hin zu Facebook mittlerweile etwas auf die Nerven... Ich liebe diese Seite, eben weil sie gerade so schön retro und oldschool ist. Stimmt, auf der facebook Seite gibts weit mehr News. Hmmm. Auf den Film freue ich mich jedenfalls, in Wien läuft der auch garantiert. Wäre auch typisches Sneak Preview Material, also mal schauen. Tolle Bilder! Ich denke das ist auch die Intention des Teasers. Bin sehr gespannt. Ich ging ja von einer normalen Biographie aus. Die ''Fantasy''-Szenen dazwischen haben mich dann doch überrascht. Im positiven Sinne allerdings. Der Trailer sieht echt gut aus und ich bin gespannt. Vor allem die letzte Szene sah sehr cool aus. Tolkien hat noch keinen deutschen Filmstart. Es könnte also sein, dass er hier garnicht in die Kinos kommt, sondern gleich bei Disney+ verschwindet, denn Fox gehört ja zu Disney.